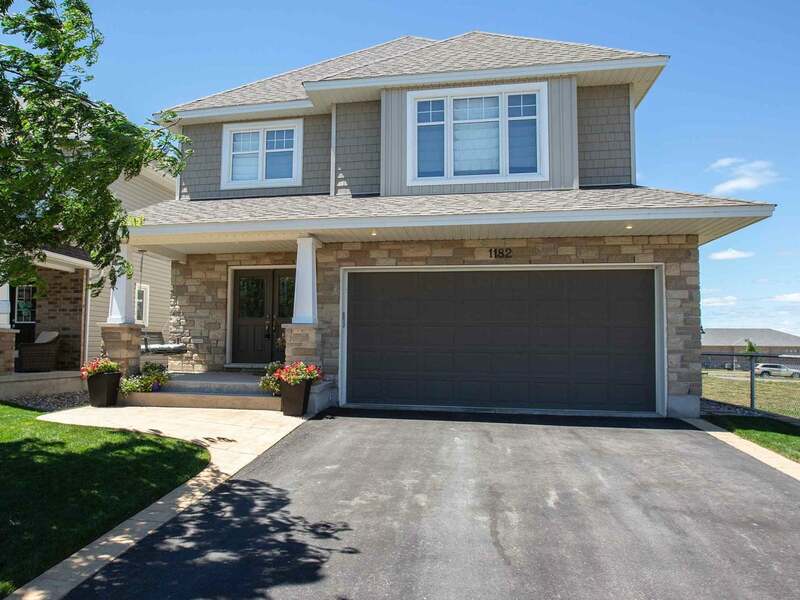 Immaculate Tamarack built 4 bedroom, 3.5 bath home in Woodhaven featuring over 3,000 sq/ft of finished living space. Hardwood & tile flooring throughout the main floor. Spacious open concept living and dining room w/gas fireplace & pot lighting. Upgraded kitchen w/granite counters, huge centre island w/3 sided extended breakfast bar, built-in pantry, tile backsplash, stainless appliances & patio doors to private and beautifully landscaped backyard oasis complete w/stamped concrete patio and hot tub! Main floor office w/french doors and mud room off garage w/walk-in closet. Gorgeous hardwood staircase leads to 4 spacious bedrooms incl. master w/walk-in closet & luxurious 5-piece ensuite w/tile & glass shower and roman oval soaker tub. 2nd floor laundry w/built-in cabinetry & sink. Lower level professionally finished featuring large rec room w/fireplace and 3-piece bath w/tile & glass shower. All this plus high efficiency gas furnace, central air, HRV, on-demand hot water, central vac & more! Set on a premium lot adjacent the park on a quiet crescent, ideally located close to all west end amenities and 401 access. Lot Size 37.99 x 104.20 Sq. Ft.